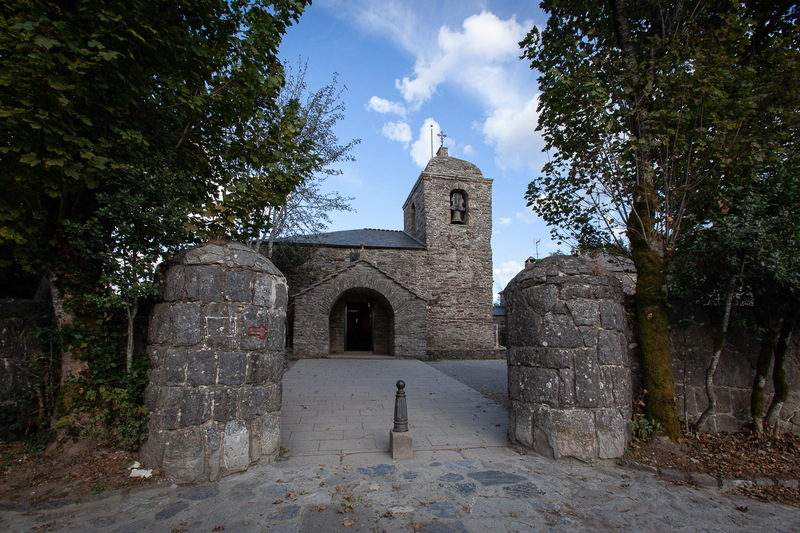 Pedrafita do Cebreiro is also known for being the access point of the Way of Santiago to Galicia. It is a municipality that is fascinating because of the history that hides its historical and cultural heritage. Specifically, the parish of O Cebreiro, a small village in the mountains of Lugo which, in addition to having impressive views of the surroundings, is full of architectural attractions such as the pallozas or the church of Santa María A Real. In addition to the obvious charms of this nucleus of a few inhabitants inhabitants, we must remember that the history of this locality is marked by the Way to Compostela. And much of the responsibility lies with the legend of the miracle of the Holy Grail of O Cebreiro. A fact that has made the municipality an obligatory pilgrimage point for centuries. Throughout the year, the locals see an incessant drip of pilgrims and visitors come to this point attracted, in part, by the well-known miracle. It is said that one winter day, especially difficult due to the weather conditions, a neighbour from the village of Barxamaior decided to attend mass as usual. The parish priest, who was not expecting any parishioner given the circumstances, was surprised and reproached him for exposing himself to die for a little bread and wine. At that moment, the bread held by the clergyman was transformed into the Body of Christ and the wine into his blood, thus producing what is cited as the miracle of the Holy Grail. A fact that spread throughout Europe in the Middle Ages through the stories of the religious, minstrels and the pilgrims of that time. The interest was such, that the Catholic Monarchs themselves in 1486 -who were in pilgrimage to Santiago de Compostela- donated a reliquary to keep and protect the Body and Blood of Christ, the result of the event. Nowadays, you can see in the chapel of Santo Milagro de Santa María A Real both the vitrines that preserve the chalice and the paten where the miracle took place, as well as the reliquary itself. Without forgetting the carving of the image of Santa Maria who, it’s said, that bowed his head to observe the Holy Miracle, staying since then in the actual position. On the other hand, the temple also houses the chapel of San Benito, dedicated to the Benedictine monks and where the sepulchre of Elías Valiña Sampedro is located, the main promoter of the Camino de Santiago, parish priest from 1959 to 1989 and who began the restoration of the place since it was abandoned in 1858. Without a doubt, climbing to this point is something that – pilgrim or not – we should enjoy once in a lifetime. Whether to visit the pallozas in the Etnographic Museum of O Cebreiro, walk the cobbled streets of the village or enjoy privileged views, which enhance the experience in this place with the first snowfalls. The magical atmosphere, which is already reflected in its architecture, increases when the first snowflakes cover the roofs with straw and slate.